Malnutrition, including obesity, is the greatest hidden threat to children in the UK. We’ve been working with the Children’s Food Trust to put an end to it. 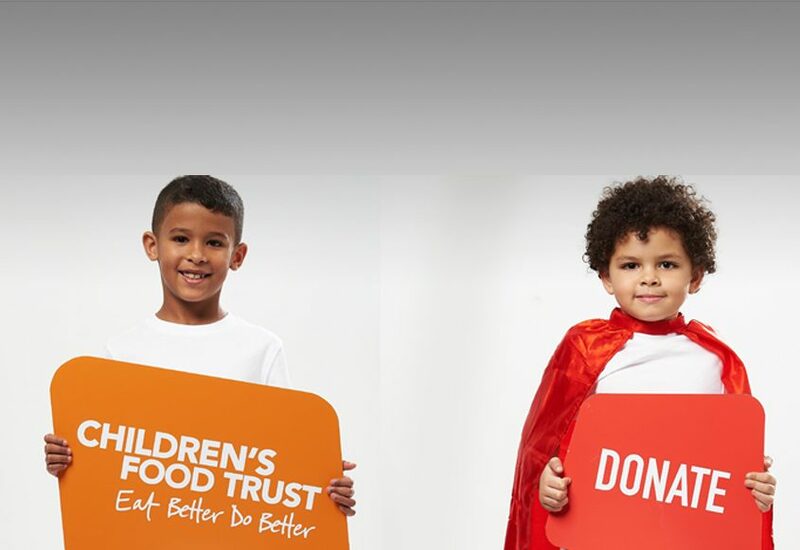 With a refreshed brand and raft of new evidence on childhood nutrition, the Children’s Food Trust (“the Trust”) were ready to open up some important conversations with their key audiences. Initially, the Trust approached us to work on their State of the Nation launch campaign. But as is often the case, our relationship blossomed. We’ve since helped them shape several campaigns and design a health cooking app. We begin each campaign project with the same question: what’s the single most important message of the campaign, and what’s the best way of communicating it, both visually and verbally? To this end we joined forces with the brilliant Emmie Spencer on the campaign strategy, and Made Noise for the design delivery. It was essential that the State of the Nation campaign worked hard for the Trust and sent a clear message to each of the different audience groups: that what we feed our children now will impact the future wellbeing of an entire generation. The concept we developed used simple images of young children to present a stark question. What do we want our children to become when they grow up? 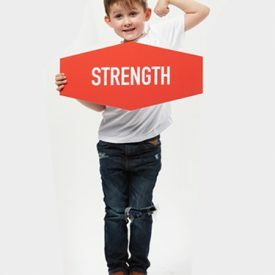 Despite the serious campaign message, we had brilliant fun at Capture Factory with all the children and their parents who were involved in the shoot. 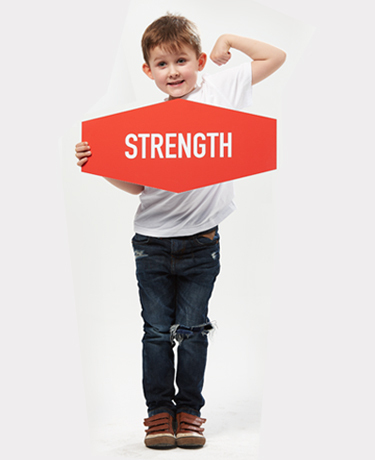 As part of the wider campaign, the Children’s Food Trust had worked with the Royal College of Paediatrics on a narrative illustrating a boy called Sam’s poor childhood diet, and the knock on effect it had right through his life. We worked with Emmie, Made Noise, and our animation partner Richard, of Plume Animation, to bring Sam’s story to life. Whilst the tone is friendly and supportive, the message packs a punch. It made us all think about what we were putting on our plates. 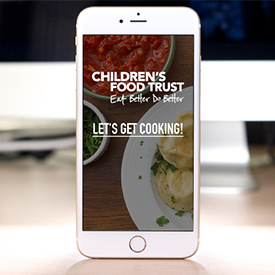 The Children’s Food Trust asked us to help them create an app to encourage children to learn to cook simple, healthy meals. Although the target audience is parents and teachers, who will assist with the preparation and cooking as well as helping their children access the app, the layout and content needed to be easy for children to follow. The app also needed to allow offline access to the Trust’s recipe database. In response to the brief, we created a clean, easily navigable user-interface, and broke each recipe down into bite-sized steps (no pun intended), matching each with a voice over for anyone with visual impairments or difficulty reading. We liked: Helping the Children’s Food Trust shape their communications through a really diverse yet coherent range of projects and campaigns.